My latest Harley Davidson model: a Street Glide custom. 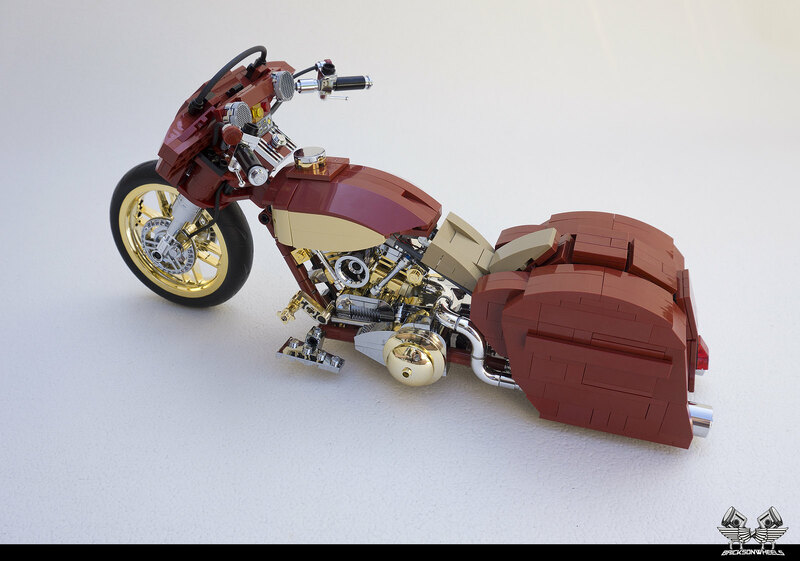 Like my other Harley's I made it in scale: 1/10, and out of genuine Lego. 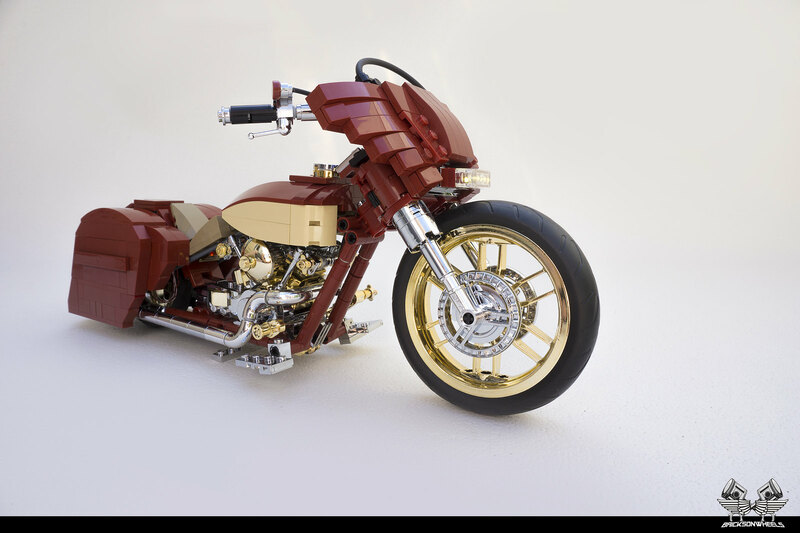 Some parts are aftermarket custom parts (based on Lego), like the chrome-gold wheels and engine parts. 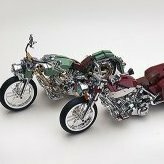 Others are chrome plated. Also added some custom brake and shifter cables. This bike also has a full lightset, including battery, housed in the sidebags. 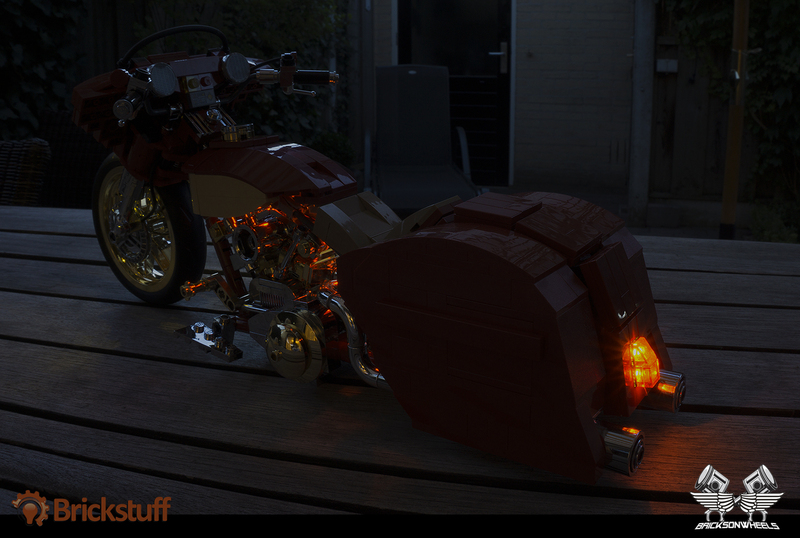 A big thanks to Rob at <a href="http://www.brickstuff.com" rel="nofollow">www.brickstuff.com</a> for supporting me with his Lego lighting systems! Also thnx to Auri at chromeblock city for his support on this project! Stunning Harley again buddy . Sweeeeet Just looking at it warmed my heart. I am still looking for the rear wheel . Beautiful bodywork ,but not big fan of that quantity of chrome . Absolutely beautiful. Your mocs should be a calendar for next year. Some brunettes are also good. 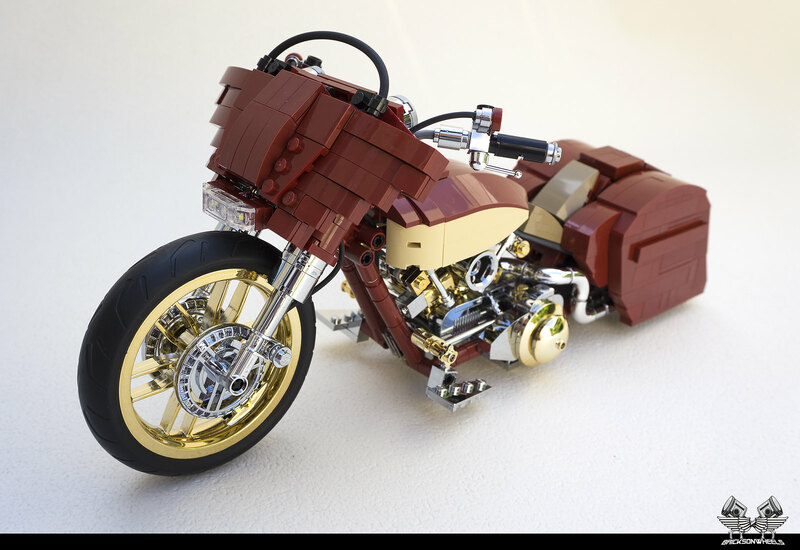 Amazingly detailed engine here, big leap from the standard Lego engine block. I just have one request... we need more Pictures. Hmm... I dont really have a lot more.. what would you like to see? Kindda agree. Some cars on the menu now!